Morning friends! I just got off a very bumpy flight from Arizona where four glasses of wine and a dose of dramamine couldn't even knock my anxiety out. So needless to say I am happy to be back in Boston for a few days, even if it's rainy. 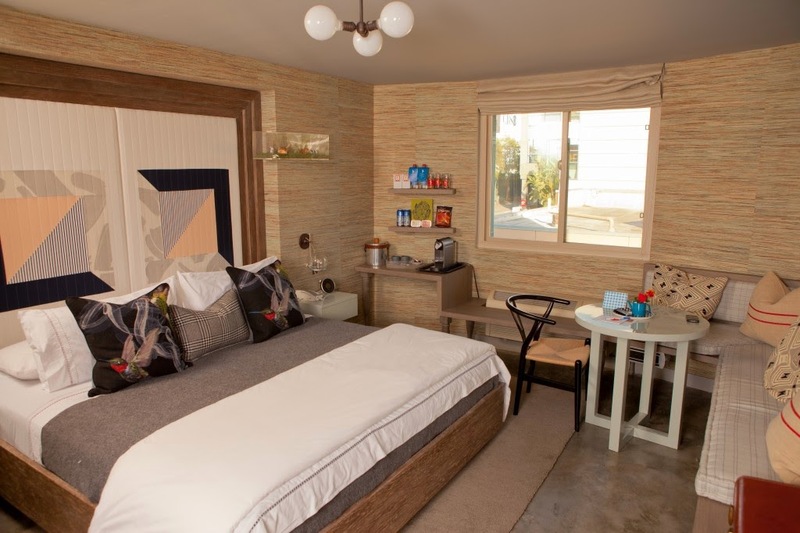 During our brief stay in the desert I did a bit of reading of local magazines and came across this cute remodeled boutique hotel called the Farmer's Daughter. 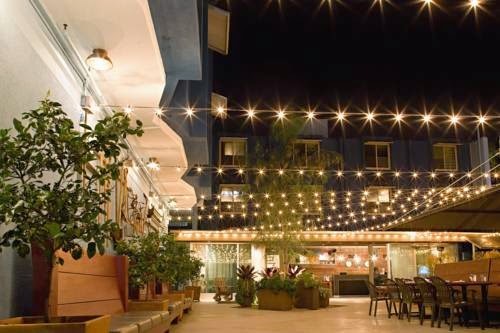 Located in the heart of Los Angeles this kitschy hotel offers a modern meets country vibe. 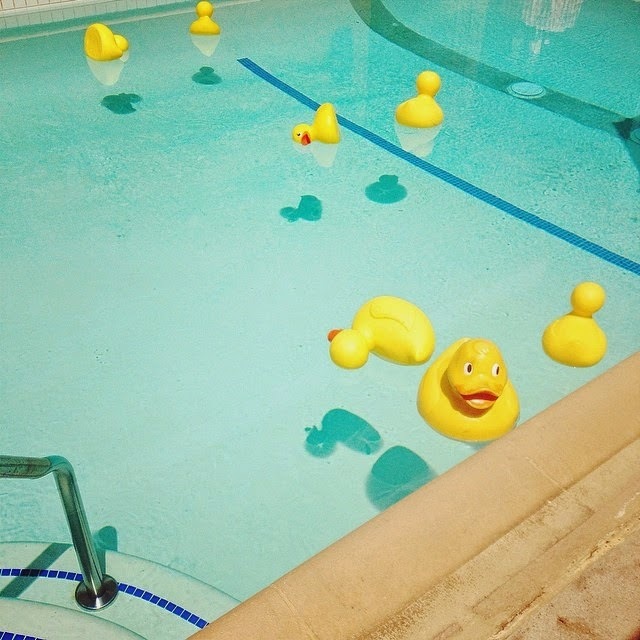 The hotel oozes that laid back California attitude that is so well known on the West coast. 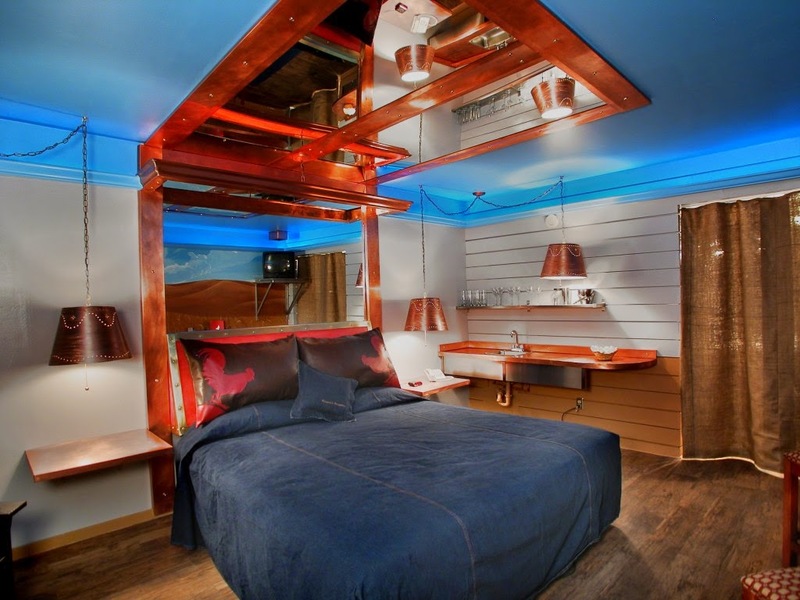 I mean one of the rooms is even called the "no tell" room featuring a mirrored celling for spicing things up. The decor boasts simple designs like Adirondack chairs, denim duvet's and plaid accents all the while keeping up with contemporary amenities you would expect in hotels these days like wifi, pool, in room dining and so on. Take a look for yourself at some of the hotels offerings with the images below. 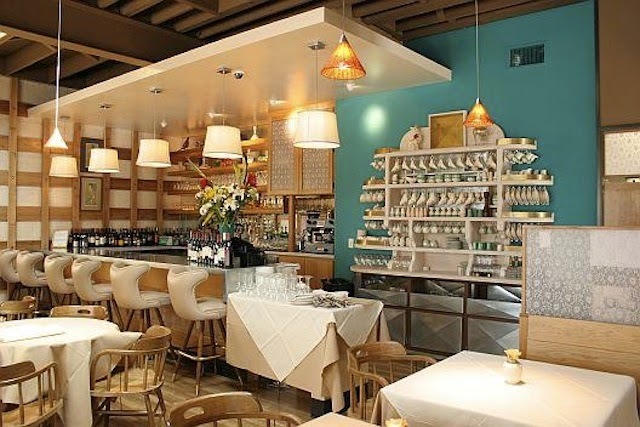 Oh & check out there cute restaurant Tart that serves up creative eats.